The year is drawing to a close and it’s Christmas Day tomorrow. My celebrations traditionally begin with my family collecting together for supper and carols around the piano. 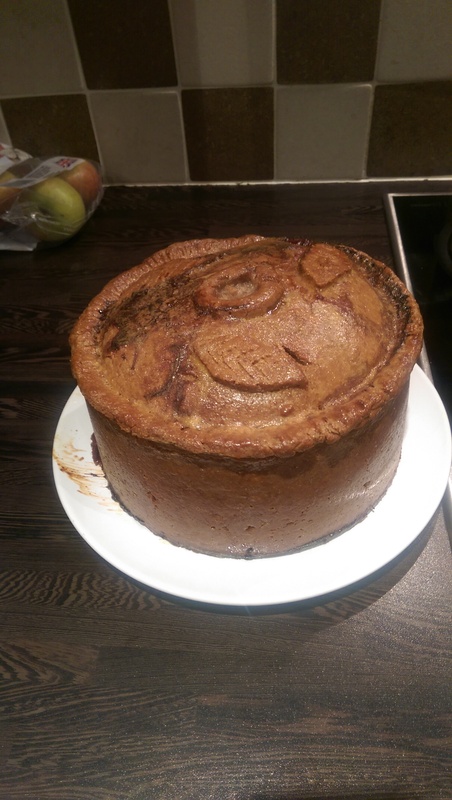 This year was no different and I laid on my usual supper of a hand raised pork and game pie, home made pickle and chutney and salads. 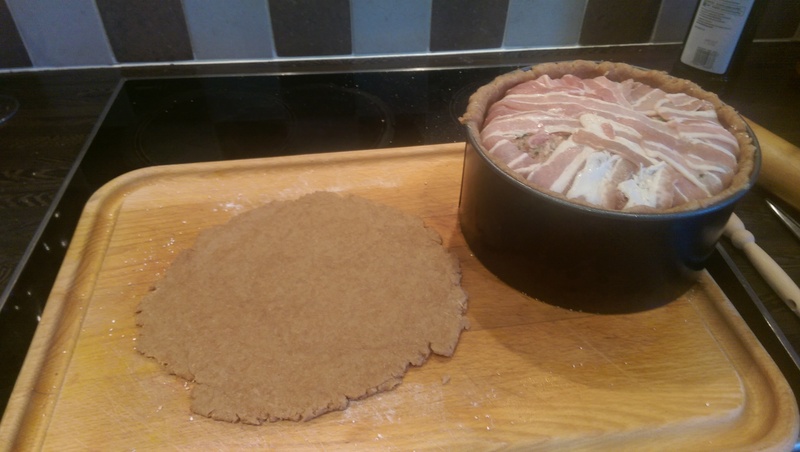 Now the pie isn’t strictly paleo but the pastry was made with spelt flour which is now, astonishingly, widely available. I got mine from Sainsburys. 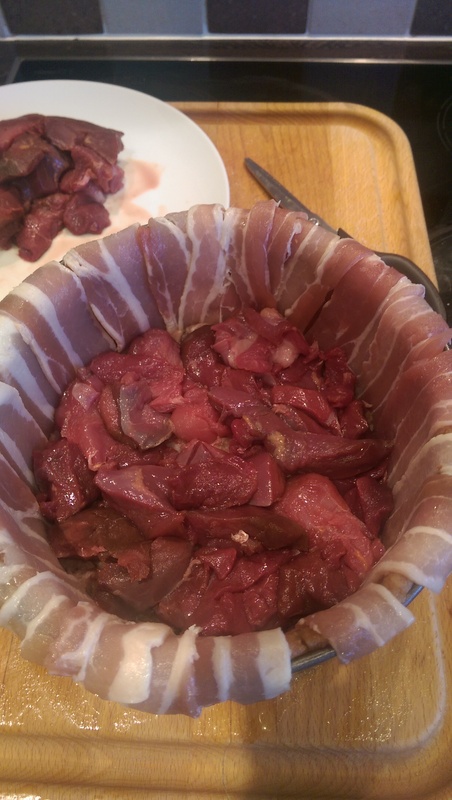 You begin this collecting the ingredients together and making the pork mixture that will layer between the diced game. 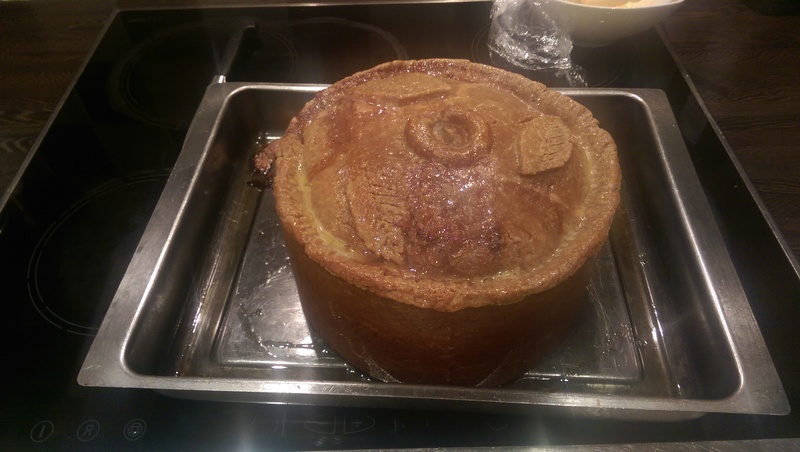 Then make the hot water crust but be careful not to scald yourself… boiling fat is dangerous!! 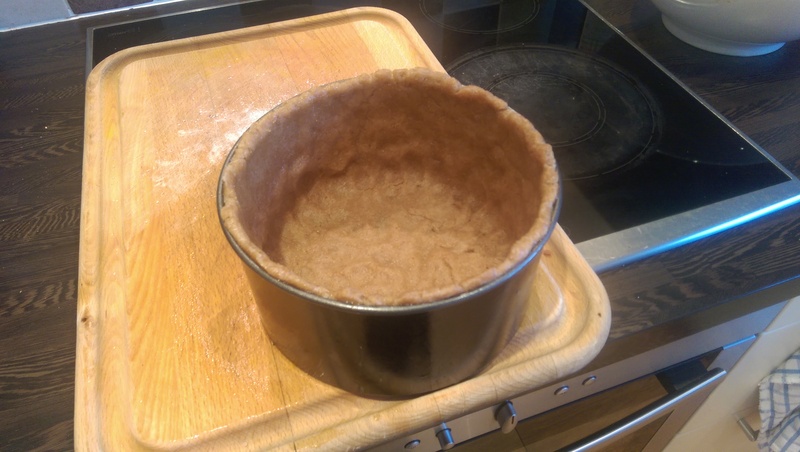 Press out the pastry to the approximate size of the tin. 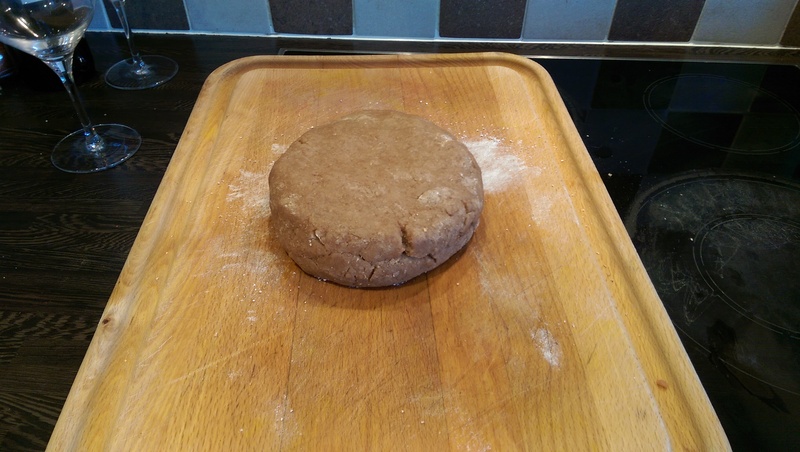 No rolling pin required. 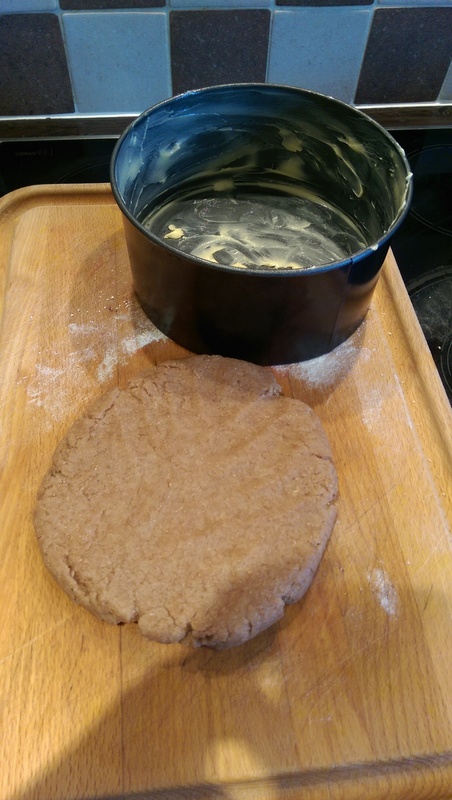 Raise the crust up the sides of the tin by pressing it with your fist. Avoid making cracks or thin bits. 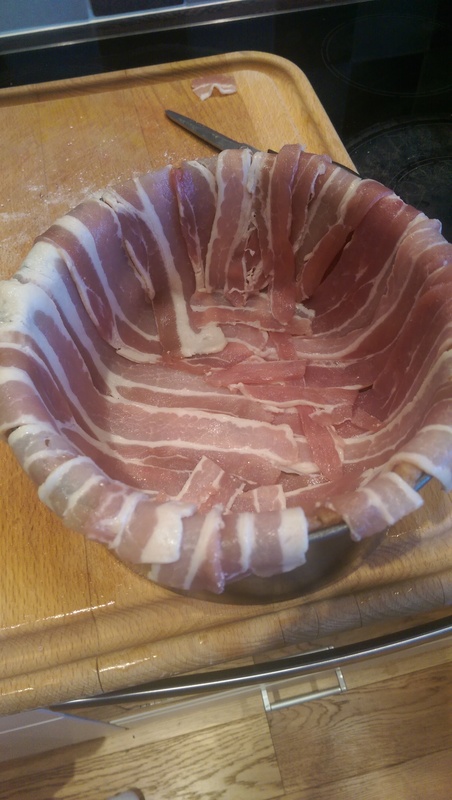 Line the crust with bacon. 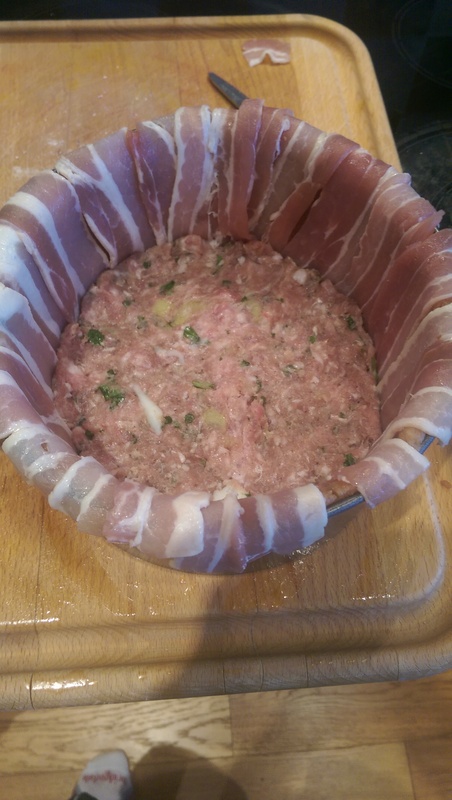 First layer of pork mixture goes in the bottom. 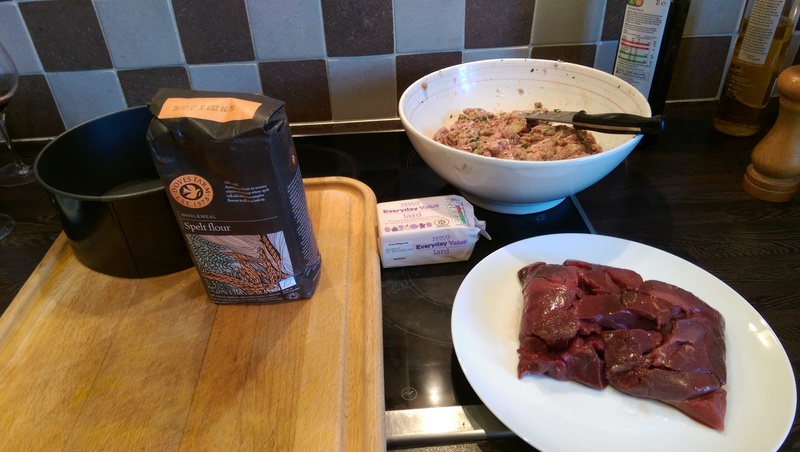 Followed by a layer of diced mixed game. 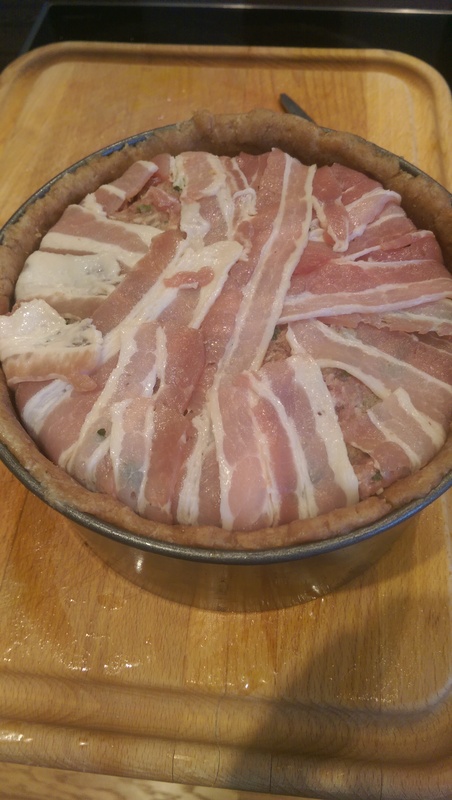 Keep layering until the pie is full and fold over the bacon. Make a steam hole – very important! And decorate with spare crust. Cook for 2.5 hours. You need to cover the top with foil. 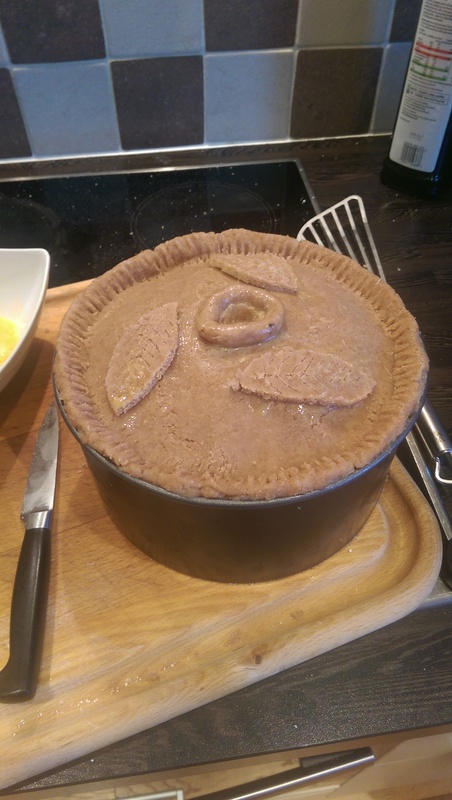 Stand the tin on something to slide it off the pie. 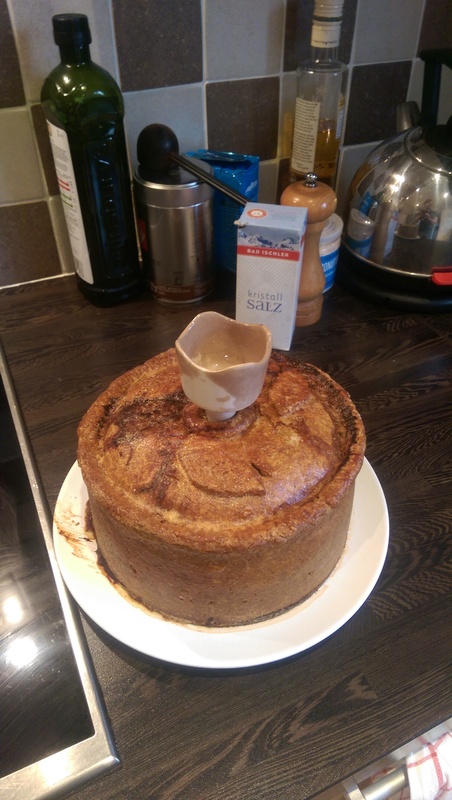 Turn up the heat and the egg was the pie. It goes back in the oven to brown and finish cooking. About 45 mins. And now it is cooked and needs to cool down and firm up. 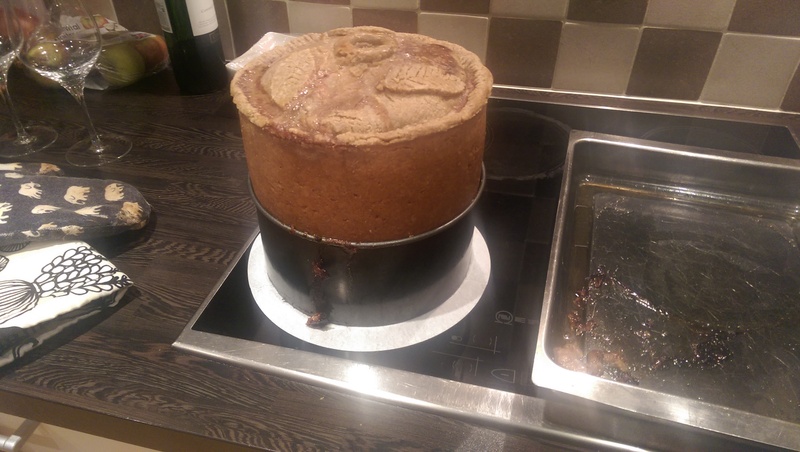 When it’s cool fill the pie with the jellies stock using a pie funnel.